New York, NY - The U.S. attorney for the Southern District of New York sued New York City on Tuesday for civil penalties and damages “of at least tens of millions of dollars” over its Medicaid program. From 2000 to 2010, some patients wrongly received “continuous” or 24-hour home care while others who should have such extra help did not. 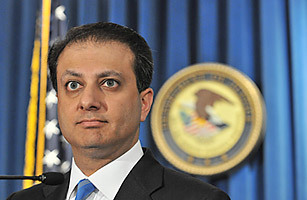 “The City’s alleged conduct has resulted in patients receiving more services through the program than necessary or warranted by their condition, resulting in substantial additional costs to taxpayers,” U.S. Attorney Preet Bharara said in a statement. New York City has one of the nation’s costliest and most generous programs for Medicaid, which provides health care for the elderly, poor and disabled. New York state is one of the few states that forces its counties—including New York City—to share some of the cost. The state’s governors for years have vowed to root out fraud and mismanagement in Medicaid, which costs New York state about $1 billion a day. Spokesmen for Mayor Michael Bloomberg, an independent, and Governor Andrew Cuomo, a Democrat who has made overhauling Medicaid an important pillar of his plan to close a $10 billion deficit, had no immediate comment. Sometimes the decisions about which patients would get home care were made without the required medical experts’ evaluations, and sometimes the medical findings were overruled by administrators, Bharara said. In other instances, the necessary paperwork was not filed. “It goes without saying that ultimate medical decisions about patient care should be made by doctors and nurses, not government bureaucrats, and they should be based first and foremost on the best interests of the patient,” Bharara said.